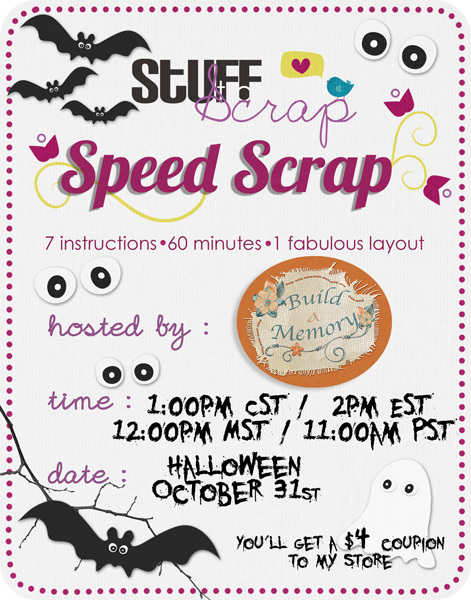 Please remember TODAY Halloween Speed Scrap at Stuff to Scrap! 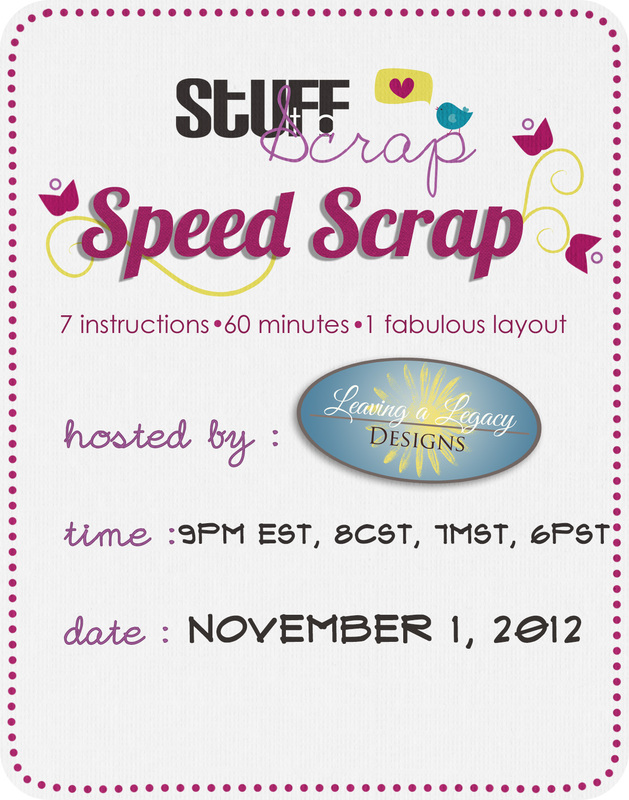 Leaving a Legacy Designs wants you to join her for a Speed Scrap on Thursday, November 1. Scrap along and at the end of the hour you'll have an fabulous layout, and a $3 coupon to her store. There may even be a few after Halloween treats in store as well!